You don't have to pay ten grand to get an attractive gazebo for your yard. 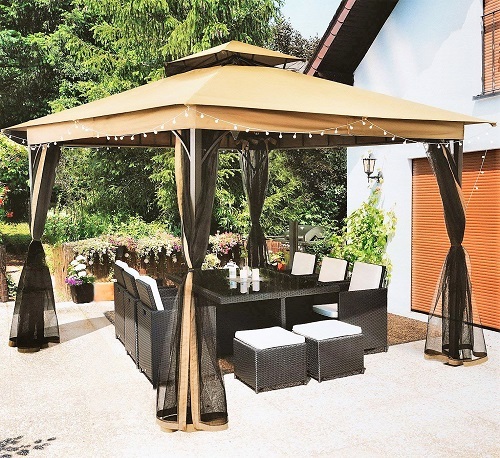 Discount Gazebos will show some alternatives to the real expensive ones. These are just plain affordable shade options for any occasion. They can go to the flea market, cover a hot tub or become the backyard party location. The accessories page has things like replacement covers, sides, doors, lights and other neat gazebo stuff. This is a SUNLONO 10' x 10' fabric and steel 2 tiered top gazebo with mosquito netting. It is currently selling for $148.99. Find this one and many more priced to sell.